Passengers injured on a shore excursion in Jamaica are suing the Miami-based cruise line that organized the trip, according to an article by the Miami Herald. The passengers in question were on a five-day cruise from Port Everglades. The cruise featured a shore excursion in Jamaica, including stops at Dunn’s River Falls and Dolphin Cove near Ocho Rios. The cruise line organized this shore excursion, offering it to all passengers as a paid upgrade. The passengers in question all paid the cruise line for the shore excursion. But after loading onto a tour bus, the driver’s behavior caused the passengers to worry. The driver allegedly drove aggressively and erratically, operating at a high speed. Disaster struck when the driver attempted to pass another automobile on a winding road. The driver did not see a truck barreling toward the tour bus in the other lane. The driver tried to elude impact with a quick turn. But the truck smashed into the tour bus. As a result of the collision, the tour bus rolled over multiple times. One passenger died. Several other passengers sustained “severe and permanent injuries.” Three passengers received treatment at Falmouth Public General Hospital. Despite organizing the shore excursion, the cruise line did not actually operate the tour bus. A Jamaican tour company was in charge of the tour bus and employed the driver. As the passengers and cruise line get ready for their day in court, it feels like a perfect time to review the law concerning cruise lines and shore excursions. Are Cruise Lines Responsible for Injuries Sustained During Shore Excursions? Generally speaking, it is difficult to hold cruise lines responsible for injuries sustained during shore excursions. The reason is simple. Cruise lines normally employ third-party contractors to lead shore excursions. These contractors are not employees of the cruise line. 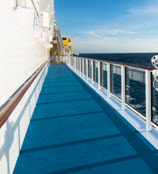 Moreover, cruise lines often require contractors to assume full responsibility for any harm or injury. In this way, cruise lines can sidestep liability for injury or damage sustained during shore excursions. That being said, there is an important exception concerning shore excursions. If it appears that the cruise line supports or promotes the third-party contractor, then both parties likely share responsibility. Stated otherwise, the cruise line cannot market, sell or charge for the shore excursion and then claim it has no responsibility for the negligent operation of the very shore excursion it promoted and profits from. Do You Have Questions for an Experienced Admiralty and Maritime Lawyer? If you have questions about shore excursions or other passenger claims, it is paramount to consult with an experienced admiralty and maritime lawyer. Without an experienced counselor as your advocate, untangling the web of admiralty and maritime law can be a serious challenge. 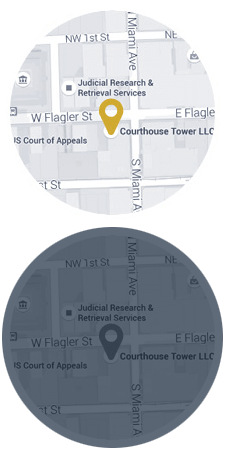 Based in Miami, Florida, Michael F. Guilford, P.A. has built a career handling a diverse caseload of admiralty and maritime law cases. If you need legal assistance concerning shore excursions or other passenger claims, please feel free to contact Michael F. Guilford, P.A. at your earliest convenience.